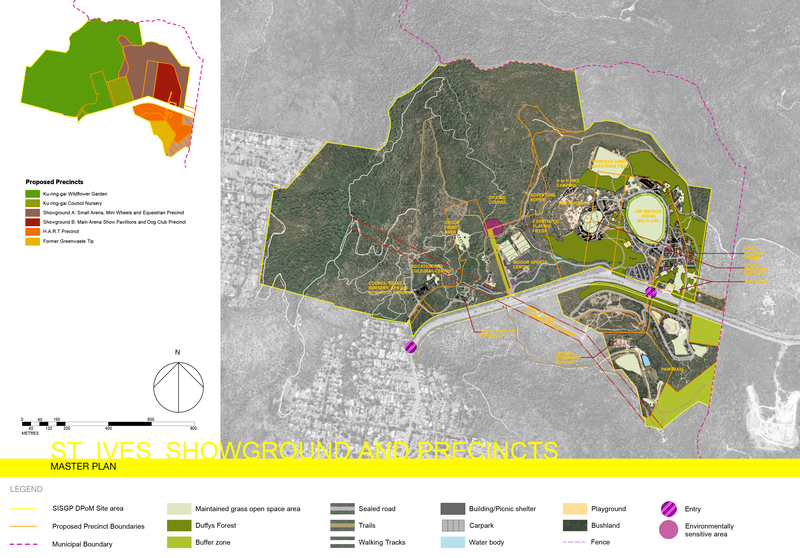 The St Ives Showground and Precincts (SISGP) is a 192ha site located on both sides of Mona Vale Road St Ives. 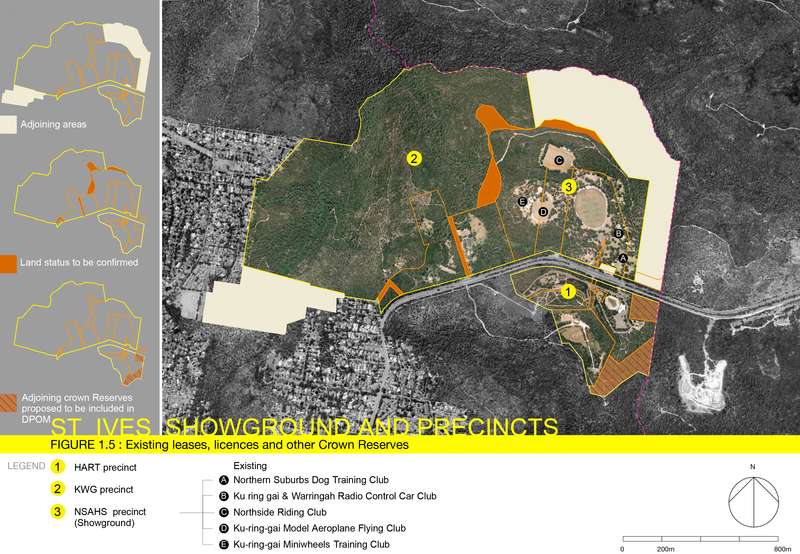 The precincts include the St Ives Showground (SISG), Ku-ring-gai Council Nursery (KCN), Ku-ring-gai Wildflower Garden (KWG), former Green waste tip (GWT) site and St Ives Road Safety Centre (now HART and CARES). The SISGP land adjoins the Garigal National Park in the south and Ku-ring-gai Chase National Park to the north in addition to several unallocated Crown Land and Council Reserves. 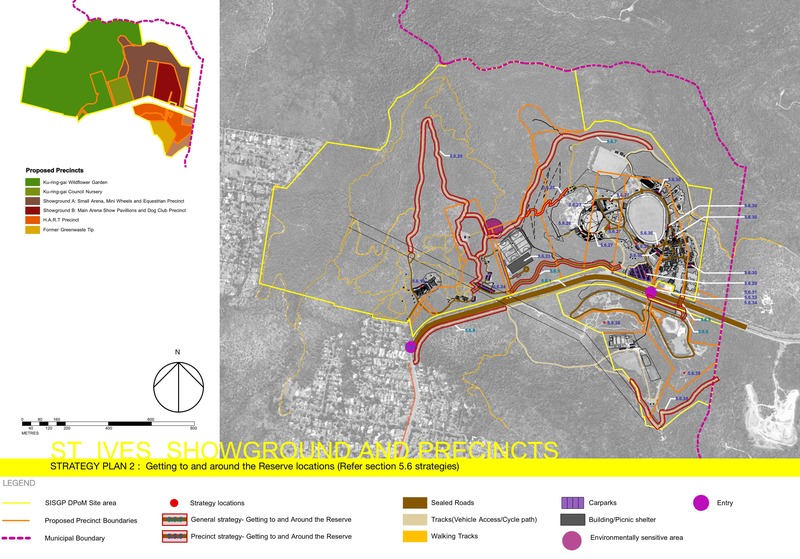 In 2010, Council adopted preferred options for the site as identified in the St Ives Showground and Precinct Draft Options Paper. The objective of this paper was to identify opportunities to re-use existing sites and facilities within the precincts for further recreational purposes. 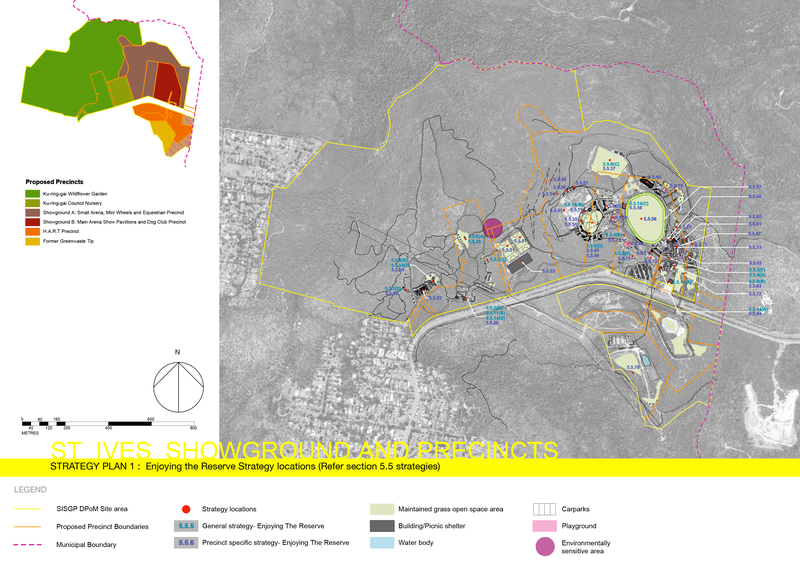 As Council is the Reserve Trust Manager for a number of different reserve trusts within the site, it appointed Environmental Partnership to prepare this Draft Plan of Management (dPoM) for the overall Precinct in accordance with the preferred options to ensure equitable recommended outcomes. In addition, the dPoM addresses the requirements of the Crown Lands Division (CLD) as land owner, consolidates all the reserve trusts into one, revises the purposes for which areas are gazetted and addresses the un-allocated areas of Crown land in the dPoM precincts.